Abstract: Multi-signature is a signature scheme in which signers jointly generate a signature on a message. Our project applies Multisignature scheme for sending messages in a group. Multisignature is more secure and eliminates the latest attacks. Individual signers are identified by the information contained in Multisignature. Our project provides an overview and comparison between the RSA cryptosystem and Elgamal cryptosystem applied on groups for sending and receiving messages. The basic theories of the RSA cryptosystem and Elgamal cryptography are explored. The RSA cryptosystem and Elgamal cryptography theories are quite similar. The idea of the RSA cryptosystem is to secure communication via networks by using public keys to encrypt and decrypt messages, where a private key is kept secret. This shows that the reliability and strong security of the RSA cryptosystem depends on the degree of difficulty of integer factorization. Therefore, in this paper the methods for integer factorization are discussed. In addition this paper also represents how the security of Elgamal cryptography is based on the difficulty of discrete logarithm problem where it is straight forward to raise numbers to large powers but it is much harder to do the inverse computation of the discrete logarithm. Through this paper we tried to provides an overview and comparison between the RSA cryptosystem and Elgamal cryptosystem applied on groups for sending and receiving messages. Keywords: Digital Signature, Elgamal Cryptosystem, Multi Signature, RSA. 5. X. F. Yuan, R. Y. Sun, J. Q. Sun, Y. H. Yang, “Signature scheme with message recovery based on discrete logarithms and factoring”， Computer Applications. vol. 27， no.10，pp. 2460-2463, 2007. 6. Ian, A.G and P.M. Grant, 2004. Digital Communications 2nd Edn, Prentice Hall. 8. Hoang Long Nguyen. Partially Interactive Threshold RSA Signatures.Cryptography and Coding. Institute of Mathematics and its application,IMA 2005. 9. Adam Barnett and Nigel P.Smart. Mental Poker Revisited. Cryptography and Coding 2003, Springer-Verlag LNCS 2898, pp. 370-383, 2003. 10. Dan Boneh and Matthew Franklin. Efficient Generation of shared RSA keys. J. ACM, 48, 702-722, 2001. Abstract: A Mobile Ad Hoc Network (MANET) is a temporary infrastructure less network, formed by a set of mobile hosts that dynamically establish their own network without relying on any central administration. Mobile ad hoc networking works properly only if the participating nodes cooperate in routing and forwarding. However, performing network functions consumes energy and other resources. To save its energy a node may behave selfishly and uses the forwarding service of other nodes without correctly forwarding packets for them. These nodes must be identified and excluded from the cooperative part of the network, as they only consume resources and don’t contribute to the infrastructure. In MANET’s routing misbehavior can severely degrade the performance at the routing layer. Specifically, nodes may participate in the route discovery and maintenance process but refuse to forward data packets. Some solutions have been detected to mitigate such selfish nodes. But almost all these solutions rely on the watchdog technique in their monitoring components, which suffers from many problems. Here we approach a new method where past problems are being addressed and will assess its performance. Misbehavior detection systems aim at removing the MANET vulnerability. We propose a system to detect misbehaving nodes in mobile ad hoc networks. Keywords: Mobile Ad Hoc Networks, Routing misbehavior, Selfishness, Network security. 1. K. Balakrishnan, J. Deng, and P.K. Varshney, “TWOACK: Preventing Selfishness in Mobile Ad Hoc Networks,” Proc. IEEE Wireless Comm. And Networking Conf. (WCNC ’05), Mar. 2005. 2. Kejun Liu, Jing Deng, Pramod K.Varshney, Kashyap Balakrishnan”An Acknowledgement-Based Approach for the Detection of Routing Misbehavior in MANETs”, IEEE Transactions on Mobile Computing vol.6,No.5,May 2007. 3. S.Marti,T.Giuli,K.Lai and M.Baker, “Mitigating Routing Misbehavior in Mobile Ad Hoc Networks”,Aug 2000. 4. Djamel Djenouri, Nadjib adache,”New Approach for Selfish Nodes Detection in Mobile Ad hoc Networks”. Abstract: The trend of using Adaptive Web-based e-Learning (AWBL) as an educational platform is increasing in corporations, universities, and industries. The dream of teaching and learning from anywhere, at anytime becomes reality with the construction of the AWBL environments. Seldome research can be found in the literature to link pedagogy & technology to involve e-Learning subjects to enhance learning. The research aim was to construct a logically design framework of AWBL. The objectives were to identify learning style of engineering students’; to determine learning preferences, experiences & age-levels of learners, and to identify the preferred instructional strategies. 477 students have given the opinions by questinarries. The findings revealed that TVET learners are converging-type, whose learning preferences were slove problems, theories etc., & experienced on authentic-learning activity and their preferred instructional strategy was problem-solving. This research suggests to address those ingrediants in design AWBL environment to increase the value of learning. 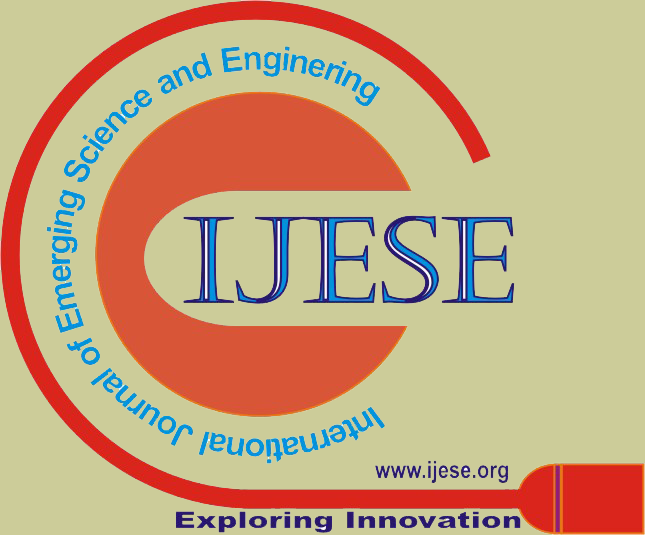 Keywords: Adaptive Web-based e-Learning, Converging-type learners’, Engineering institutions. 1. Bates, A. W. (1995). Technology, Open learning and distance education. London: Routledge. 2. Bonk, C. J., & King, K. S. (1998). Introduction to electronic collaborators. In C. J. Bonk & K. S. King (Eds. ), Electronic collaborators: Learner-centered technologies for literacy, apprenticeship, and discourse. Mahwah, NJ: Erlbaum, 25-35. 3. Brickell, G. (1993). Navigation and learning style. Australian Journal of Educational Technology, 9(2), 103-114. 4. Brusilovsky, P. (2010). Adaptive Hypermedia. User Modeling and User Adapted Interaction, 11(1-2), 87-110. 5. Chen, S. Y., & Paul, R. J. (2003). Editorial: Individual differences in Web-based instruction- An overview. British Journal of Educational Technology, 34 (4), 385-392. 6. Chickering, A. W., & Ehrmann, S. C. (1996). Implementing the seven principles: Technology as a lever. AAHE Bulletin. 7. Cohen, E. (1999). Re-conceptualizing information systems as a field of the Trans discipline informing science: From ugly duckling to swan. Journal of Computing and Information Technology, 7(3), 213-219. 8. Dabbagh, N. H., & Schmitt, J. (1998). Reducing instruction through Web-based course authoring tools. Education Media International, 35, 106-110. 9. Dewey, J. (1933). How we think: A restatement of the relation of reflective thinking to the educative process. Boston: Health. 10. Far, B. H., & Hashimoto, A. H. (2009). “A computational model for learner’s motivation states in individualized tutoring system”, Paper presented at the International Conference on Computer Assisted Instruction, Taipei, Taiwan. 11. Gilbert, J. E. & Han, C. Y. (1999). “Arthur: Adapting Instruction to Accommodate Learning Style”, Proceedings of WebNet'99, World Conference of the WWW and Internet, Honolulu, HI, 433-438. 12. Gregorc, A. F. (1979). Learning/teaching styles: Their nature and effects. In J. Keefe (Ed. ), Student learning styles: Diagnosing and prescribing programs, Reston, VA: National Association of Secondary Schools Principals, 19-26. 13. Hackman, J. R. (1969). Toward understanding the role of tasks in behavioral research. Acta Psychologica, North Holland, 31, 97-128. 14. Inan, F. A., & Grant, M. M. (2005). “Design and development of strategies for adaptive Web-based learning environments”, Paper presented at the annual convention of the Association for Educational Communications and Technology, Orlando, FL. 15. Inan, F.A., & Grant, M. M. (2004). “Applications of adaptive technologies in online learning”, In Proceedings of the World Conference on E-Learning in Corp., Govt., Health., & Higher Ed., 2004(1), 2701-2706. 16. Inan, F.A., & Grant, M. M. (2008). Handbook of Research on: Instructional Systems and Technology Individualized Web-Based Instructional Design, (2), 582-595, IGI Global Print Publications, USA. 17. James, W. B. & Gardner, D. L. (1995). Learning styles: Implications for distance learning, ERIC Document Reproduction Service No. EJ, 514, 356. 18. Kolb, D. A. (1971). Individual learning styles and the learning process. Cambridge, MA: MIT Press. 19. Kolb, D. A. (1977). Learning style inventory: A self-description of preferred learning modes. Boston, MA: McBer. 20. Magoulas, G. D., Papanikolaou, K., & Grigoriadou, M. (2003). Adaptive Web-based learning: Accommodating individual differences through system’s adaptation. British Journal of Educational Technology, 34(4), 511-527. 21. Magoulas. G. D., Chen, S. Y., & Dimakopoulos, D. (2004). A personalized interface for Web directories based on cognitive styles. Lecture Notes in Computer Science, 3196, 159. 22. Milne, S., Cook, J., Shiu, E., & McFadyen, A. (1997). Adapting to learner attributes: Experiments using an adaptive tutoring system. Educational Psychology, 17(1/2), 141. 23. Muir, D. J. (2010). “Adapting online education to different learning styles”. Paper presented at the National Educational Computing Conference, Chicago. 24. Papanikolaou, K., Grigoriadou, M,, Kornilakis, H., & Magoulas, G. (2003). Personalizing the Interaction in a Web-based Educational Hypermedia System: the case of ISNPIRE, User-Modeling and User-Adapted Interaction, 13 (3). 25. Park, O., & Lee, J. (2003). Adaptive instructional system. In D. H. Jonassen (Ed. ), Handbook of research for educational communications and technology, Mahwah, NJ: Lawrence Erlbaum Associates, 403-437. 26. Resnick, L. B. (1993). Shared cognition: Thinking as social practice. In L. B. Resnick, J. M. Levine, & S. D. Teasley (Eds. ), Perspectives on socially shared cognition. Washington, DC: American Psychological Association, 1-20. 27. Rogoff, B. (1998). Cognition as a collaborative process. In W. Damon, D. Kuhn, & R. S. Siegler (Eds. ), Handbook of child psychology: Cognition, perception, and language. New York: Wiley, 679-744. 28. Triantafillou, E., Pomportsis, A., & Demetriadis, S. (2003). The design and the formative evaluation of an adaptive educational system based on cognitive styles. Computers & Education, 41(1), 87-103. 30. Wood, R. (2010). Task complexity: Definition of the construct. Organizational Behavior and Human Decision Processes-1986, 37, 60-82. Abstract: In this paper we have introduced secure RSA for secure file transmission. There are many cases where we need secure file transmission for example in banking transactions, e-shopping etc . In this paper we present modified RSA algorithm for secure file transmission. RSA algorithm is asymmetric key cryptography also called Public Key cryptography. Two keys are generated in RSA, one key is used for encryption &other key which is only known to authenticated receiver can decrypt message. No other key can decrypt the message. Every communicating party needs just a key pair for communicating with any number of other communicating parties. Once someone obtains a key pair, he /she can communicate with anyone else. RSA is a well known public key cryptography algorithm and was one of the first great advances in public key cryptography. Even if it is efficient algorithm it is vulnerable to attackers. With the help of all brute force attacks hacker can obtain private key.Many improvements has been done to improve RSA like BATCH RSA, MultiPrime RSA, MultiPower RSA, Rebalanced RSA, RPrime RSA etc. As craze of internet is increasing exponentially, it is used for email, chatting, transferring data and files from one end to other. It needs to be a secure communication among the two parties . This paper focuses on file transfer using Secure RSA, which eliminates some loopholes of RSA that might prevent a hacker from stealing and misuse of data. This paper also presents comparison between RSA file transfer and Secure RSA file transfer. Keywords: File transmission, RSA algorithm, public key cryptography, private key cryptography. 3. Eun- Jun Yoon, Kee –Young Yoo, “An Efficient Diffie – Hellman – MAC Key Exchange Scheme” IEEE, Fourth International Conference on Innovative Computing , Information and Control , pp 398 – 400, 2009. 4. Xi aowen Kang, Yingjie Yang, Xin Du,”A Disaster – Oriented Strong Secure File System”, IEEE , 3rd International Conference on Innovative Computing Information and Control, 2008. 8. Sattar J Aboud, “An efficient method for attacking RSA scheme”, IEEE 2009. 9. "A public key cryptosystem and a signature scheme based on discrete locarithms" TaherElGamal 1998,Springer-Verlag. 13. "Elliptic Curve Cryptography" Burt Kaliski. 14. "DIGITAL SIGNATURE STANDARD (DSS)", Federal Information Processing Standards Publication 186-2, 2000 January 27. 23. RFC 2631 – Diffie–Hellman Key Agreement Method E. Rescorla June 1999. Abstract: Space-time coding (STC) has been shown to play a key role in the design of MIMO radars with widely spaced antennas. Multiple-input–multiple-output (MIMO) radar is an emerging technology that has significant potential for advancing the state-of-the-art of modern radar. This is a multiple antenna radar system capable of transmitting arbitrary waveform from each antenna element. Like MIMO communications, MIMO radar offers a new paradigm for signal processing research. It’s significant potentials for fading mitigation, resolution enhancement, and interference and jamming suppression, which can result in significantly improved target detection, parameter estimation, target tracking and recognition performance. To identify a target in statistical MIMO radar system multiple antennas, not closely placed, for transmission and reception is used. This paper introduces the signal processing algorithm of STC in statistical MIMO radar for improved target detection and recognition performance. We consider the use of space–time coding (STC) to mitigate the waveform cross-correlation effects in MIMO radar. The optimal detector in the Neyman-Pearson sense is developed and analyzed for the statistical MIMO radar for with and without STC waveforms in case of stationary target. The performance improvement achieved by the use of STC waveforms in statistical MIMO radar is investigated. Finally, a number of numerical examples demonstrated for the effectiveness of the proposed approaches. Therefore, statistical MIMO radar can be applied to enhance radar resolution by allowing the measurement of one scatter at a time. Keywords: MIMO, Statistical, SNR, Probability detection, STC. 1. M. Skolnik, Introduction to Radar Systems, 3rded. New York: Mc-Graw-Hill, 2002. 2. Mohammed Nabil El Korso, Rémy Boyer, Alexandre Renaux, and Sylvie Marcos” Statistical Resolution Limit for Source Localization With Clutter Interference in a MIMO Radar Context” IEEE Transactions on Signal Processing, Vol. 60, No. 2, pp. 987-992, February 2012. 3. Xuan Hui Wu, Ahmed A. Kishk, and Allen W. Glisson, “Antenna Effects on a Monostatic MIMO Radar for Direction Estimation, a Cramèr-Rao Lower Bound Analysis”, IEEE Transactions on Antennas and Propagation, Vol. 59, No. 6, pp. 2388-2395,June 2011. 4. Yu Zhang, and Jianxin Wang , “Transmit-receive beamforming for MIMO radar”, IEEE 2nd International Conference on Signal Processing Systems (ICSPS), Dalian, vol.3, pp. v3-803 - v3-806 , (5-7) July 2010 .R. Nicole, “Title of paper with only first word capitalized,” J. Name Stand. Abbrev., in press. 5. Wilcox, and M. Sellathurai, “On MIMO Radar Sub-array Transmit Beamforming” IEEE Transactions on Signal Processing, VOL. 60, NO. 4, APRIL 2012.M. Young, The Technical Writer's Handbook. Mill Valley, CA: University Science, 1989. 6. MuratAkçakaya, and AryeNehorai, “MIMO Radar Sensitivity Analysis for Target Detection” IEEE Transactions on Signal Processing, Vol. 59, NO. 7, JULY 2011. 7. Winters J.H. : 'On the Capacity of Radio Communication Systems with Diversity in a Rayleigh Fading Environment' IEEE Journal on Sel. Areas in Comm., Vol. SAC-5, No. 5, June 1987. 8. Burr A.G.: 'Space-time coding in the third generation and beyond' Proceedings of the IEE Colloquium on 'Capacity and Range Enhancement Techniques for the Third Generation Mobile Communications and Beyond' 11 February 2000. Abstract: This paper addresses the development efforts towards realization of vehicle to vehicle cooperative collision warning system for ITS. In this intelligent system either the vehicle or the infrastructure can communicate its location or other information to surrounding vehicles or nearby infrastructure for its implications in cooperative driving and vehicle safety deserve closer investigation. Commercial vehicles with multiple radars has the limitation of more false detection as the detection technology is based on ‘ skin’ mode of radar operation and the radar receives its transmitted energy after reflection from the body of the target vehicles. The ‘transponder’ mode of radar operation will definitely improve the false detection leading to collision warning and warning system. The vehicles will be the ‘friends’ to each other by integrating the local radar mounted on each vehicle with vehicular communication. The goals of this paper are twofold: providing an engineering argument of possible functional architectures of such systems and presenting a possible example of the proposed future-trajectory-based design, which estimates and communicates vehicle positions and predicts and processes future trajectories for collision decision making using WiMAX waveforms. The authors have developed automotive WiMAX radar networks for Skin and Transponder mode utilizing the VLSI based advanced development platforms. This paper will highlight the achievements and limitations of the developed model. Keywords: AWG, VSA, WiMAX, ITS, TCF, FCF, Skin mode and Transponder mode. 1. R. Bera , N.B. Sinha ,R. purandare, S. Sil and S. Dogra, “Wireless Multimedia Campus Networking Utilizing WiFi and WiMax Radio”, International symposium of IEEE MOROCCO on Information and Communication Technologies(ICTIS-07), Fez, 3-5 April 2007. 2. Bera, R. Sinha, N,B. Paul, B. Guchhait, A. Sil, S. and Dogra, S, “Wireless Embedded System for Multimedia Campus Network Utilizing IEEE 802.11N (draft) &WiMax radio”, Proc. of International conference on Wireless and Optical Communication Networks (IEEE WOCN '07), Singapore, pp.1-5, 2-4 July 2007. 3. EU. E. Safety, “Final Report of the Safety Working Group on Road Safety”, November, pp.7-39, 2002. 4. J. K. Hedrick, et al., “Control Issues in Automated Highway Systems”, IEEE Control Systems, pp.21-31, Dec.1994. 5. K. Enke, “Possibilities for improving safety within the driver vehicle environment control loop”, proceedings of the 7th International technological conference on experimental safety vehicles, PP.789-802, 1979. 6. S. Tsugawa, et al. “ An Overview on Demo 2000 Cooperative Driving”, Proceedings of IEEE Intelligent Vehicles Symposium, pp.327-332, 2001. 7. K. Mizutani and R. Kohno, “Inter-vehicle spread spectrum communication and ranging system with concatenated EOE sequence,” IEEE Trans on Intelligent Transport. Syst., vol. 2, no. 4, pp. 180–191, Dec. 2001. 8. S. Nishikawa and H. Endo, “Application of millimeter-wave sensors in ITS,” Furukawa Review, no. 18, pp.1–5, 1999. 9. J. K. Hedrick, et al., “Control Issues in Automated Highway Systems”, IEEE Control Systems, Vol.14, No. 6, pp.21-32, 1994. 10. S. Nishikawa and H. Endo, “Application of Millimeter-wave sensors in ITS,” Furukawa Review, No. 18, pp. 1–5, 1999. Abstract: The transient response of the distribution static compensator (DSTATCOM) is very important while compensating rapidly varying unbalanced and nonlinear loads. Any change in the load affects the dc-link voltage directly. The sudden removal 0of load would result in an increase in the dc-link voltage above the reference value, whereas a sudden increase in load would reduce the dc-link voltage below its reference value. The proper operation of DSTATCOM requires variation of the dc-link voltage within the prescribed limits. Conventionally, a proportional-integral (PI) controller is used to maintain the dc-link voltage to the reference value. It uses deviation of the capacitor voltage from its reference value as its input. However, the transient response of the conventional PI dc-link voltage controller is slow. In this paper, a fast-acting dc-link voltage controller based on the energy of a dc-link capacitor is proposed. Mathematical equations are given to compute the gains of the conventional controller based on fast-acting dc-link voltage controllers to achieve similar fast transient response. The detailed simulation and experimental studies are carried out to validate the proposed controller. Keywords: DC-link voltage controller, distribution static compensator (DSTATCOM), fast transient response, harmonics, load compensation, power factor, power quality (PQ), unbalance, voltage-source inverter (VSI). 1. M. H. J. Bollen, Understanding Power Quality Problems: Voltage Sags and Interruptions. New York: IEEE Press, 1999. 2. W. M. Grady and S. Santoso, Proc. IEEE Power Eng. Rev. Understanding Power System Harmonics, vol. 21, no. 11, pp. 8–11, 2001. 3. N. Hingorani, “Introducing custom power,” IEEE Spectr., vol. 32, no. 6, pp. 41–48, Jun. 1995. 4. A. Ghosh and G. Ledwich, Power Quality Enhancement Using Custom Power Devices. Norwell, MA: Kluwer, 2002. 5. V. Dinavahi, R. Iravani, and R. Bonert, “Design of a real-time digital simulator for a D-STATCOM system,” IEEE Trans. Ind. Electron., vol. 51, no. 5, pp. 1001–1008, Oct. 2004. 6. D. Vilathgamuwa, H. M.Wijekoon, and S. S. Choi, “A novel technique to compensate voltage sags in multiline distribution system and the interline dynamic voltage restorer,” IEEE Trans. Ind. Electron., vol. 55, no. 5, pp. 1603–1611, Oct. 2006. 7. H. Akagi, Y. Kanazawa, and A. Nabae, “Instantaneous reactive power compensators comprising switching devices without energy storage components,” IEEE Trans. Ind. Appl., vol. IA-20, no. 3, pp. 625–630, May 1984. 8. H. Kim, F. Blaabjerg, B. B. Jensen, and J. Choi, “Instantaneous power compensation in three-phase systems by using p-q-r theory,” IEEE Trans. Power Electron., vol. 17, no. 5, pp. 701–709, Sep. 2002. 9. F. Z. Peng and J. S. Lai, “Generalized instantaneous reactive power theory for three-phase power systems,” IEEE Trans. Instrum. Meas., vol. 45, no. 1, pp. 293–297, Feb. 1996. 10. T. Furuhashi, S. Okuma, and Y. Uchikawa, “A study on the theory of instantaneous reactive power,” IEEE Trans. Ind. Electron., vol. 37, no.1, pp. 86–90, Feb. 1990. 11. A. Ghosh and A. Joshi, “A new approach to load balancing and power factor correction in power distribution system,” IEEE Trans. Power Del., vol. 15, no. 1, pp. 417–422, Jan. 2000. 12. S. Kim, M. H. Todorovic, and P. N. Enjeti, “Three-phase active harmonic rectifier (AHR) to improve utility input current THD in telecommunication power distribution system,” IEEE Trans. Ind. Appl., vol. 39, no. 5, pp. 1414–1421, Sep./Oct. 2003. 13. R. Redl and A. S. Kislovski, “Telecom power supplies and power quality,” in Proc. 17th Int. Telecommunications Energy Conf., Denmark, Oct. 29–Nov. 1 1995, pp. 13–21. 14. M. M. Jovanovic and Y. Jang, “State-of-the-art, single-phase, active power-factor-correction techniques for high-power applications—An overview,” IEEE Trans. Ind. Electron., vol. 52, no. 3, pp. 701–708, Jun. 2005. 15. A. S. Kislovski, “Telecom power-supply plants using three-phase rectifiers and active filters,” in Proc. 2nd Int. Telecommunications Energy Special Conf., Budapest, Hungary, Apr. 22–24, 1997, pp. 127–134. Abstract: Cloud Computing, an emerging computing paradigm, requires additional security which is provided using HASBE and this can emerge as a new security feature for various organisational platforms. We propose attribute based solution so that performance of cloud can be improved. It is implemented using cipher text policy by encrypting and decrypting the data in the cloud so that the cloud system becomes more scalable and flexible by enforcing data owners to share their data with data consumers controlled by the domain authority. Keywords: Cloud Computing, Access Control, Data Security, Key Generation. 1. R. Buyya, C. ShinYeo, J. Broberg, and I. Brandic, “Cloud computing and emerging it platforms: Vision, hype, and reality for delivering computing as the 5th utility,” Future Generation Comput. Syst., vol. 25, pp. 599–616, 2009. 6. B. Barbara, “Salesforce.com: Raising the level of networking,” Inf. Today, vol. 27, pp. 45–45, 2010. 7. T. Yu and M. Winslett, “A unified scheme for resource protection in automated trust negotiation,” in Proc. IEEE Symp. Security and Privacy, Berkeley, CA, 2003. 8. J. Li, N. Li, and W. H. Winsborough, “Automated trust negotiation using cryptographic credentials,” in Proc. ACM Conf. Computer and Communications Security (CCS), Alexandria, VA, 2005. 9. A. Ross, “Technical perspective: A chilly sense of security,” Commun. ACM, vol. 52, pp. 90–90, 2009. 10. D. E. Bell and L. J. LaPadula, Secure Computer Systems: Unified Exposition and Multics Interpretation The MITRE Corporation, Tech. Rep., 1976. 11. K. J. Biba, Integrity Considerations for Secure Computer Systems The MITRE Corporation, Tech. Rep., 1977. 12. H. Harney, A. Colgrove, and P. D. McDaniel, “Principles of policy in secure groups,” in Proc. NDSS, San Diego, CA, 2001. 13. P. D. McDaniel and A. Prakash, “Methods and limitations of security policy reconciliation,” in Proc. IEEE Symp. Security and Privacy, Berkeley, CA, 2002. 14. T. Yu and M. Winslett, “A unified scheme for resource protection in automated trust negotiation,” in Proc. IEEE Symp. Security and Privacy, Berkeley, CA, 2003. 15. J. Li, N. Li, and W. H. Winsborough, “Automated trust negotiation using cryptographic credentials,” in Proc. ACM Conf. Computer and Communications Security (CCS), Alexandria, VA, 2005. Abstract: In this paper, we propose a high speed Carry Select Adder by replacing Ripple Carry Adders with parallel prefix adders. Adders are the basic building blocks in digital integrated circuit based designs. Ripple Carry Adders (RCA) are usually preferred for addition of two multi-bit numbers as these RCAs offer fast design time among all types of adders. However RCAs are slowest adders as every full adder must wait till the carry is generated from previous full adder. On the other hand, Carry Look Ahead (CLA) adders are faster adders, but they required more area. The Carry Select Adder is a compromise on between the RCA and CLA in term of area and delay. CSLA is designed by using dual RCA: due to this arrangement the area and delay are still concerned factors. It is clear that there is a scope for reducing delay in such an arrangement. In this research, we have implemented CSLA with prefix adders. Prefix adders are tree structure based and are preferred to speed up the binary additions. This work estimates the performance of proposed design in terms of Logic and route delay. The experimental results show that the performance of CSLA with parallel prefix adder is faster and area efficient compared to conventional modified CSLA. Keywords: Prefix adder, CSLA, delay, Carry Operator, area-efficient. 1. B. Ramkumar, Harish M Kittur, “Low –Power and Area-Efficient Carry Select Adder”, IEEE transaction on very large scale integration (VLSI) systems, vol.20, no.2, pp.371-375, Feb 2012. 2. Kuldeep Rawat, Tarek Darwish. and Magdy Bayoumi, “A low power and reduced area Carry Select Adder”, 45th Midwest Symposium on Circuits and Systems, vol.1, pp. 467-470,March 2002. 3. O. J. Bedrij, “Carry-Select Adder”, IRE transactions on Electronics Computers, vol.EC-11, pp. 340-346, June1962. 4. Youngjoon Kim and Lee-Sup Kim, “64-bit carry-select adder with reduced area”, Electronics Letters, vol.37, issue 10, pp.614-615, May 2001. 5. Y. Choi, “Parallel Prefix Adder Design,” Proc. 17th IEEE Symposium on Computer Arithmetic, pp 90-98, 27th June 2005. 6. J. M. Rabaey, “Digital Integrated Circuits- A Design Perspective”, New Jersey, Prentice-Hall, 2001..
7. T.-Y. Chang and M.-J. Hsiao,“Carry-Select Adder using single Ripple-Carry Adder”, Electronics letters, vol.34, pp.2101-2103, October 1998. 8. Youngjoon Kim and Lee-Sup Kim, “A low power carry select adder with reduced area”, IEEE International Symposium on Circuits and Systems, vol.4, pp.218-221, May 2001. 9. Behnam Amelifard, Farzan Fallah and Massoud Pedram, “Closing the gap between Carry Select Adder and Ripple Carry Adder: a new class of low-power high-performance adders”, Sixth International Symposium on Quality of Electronic Design, pp.148-152. April 2005. 11. M. Snir, “Depth-size trade-offs for parallel prefix computation,” in Journal of Algorithms 7, pp.185–201, 1986. 12. Richard P. Brent and H. T. Kung, “A Regular Layout for Parallel Adders”, IEEE transactions on Computers, vol.c-31, pp.260-264, March 1982. 13. Belle W.Y.Wei and Clark D.Thompson, “Area-Time Optimal Adder Design”, IEEE transactions on Computers, vol.39, pp. 666-675, May1990. 14. David Jeff Jackson and Sidney Joel Hannah, “Modelling and Comparison of Adder Designs with Verilog HDL”, 25th South-eastern Symposium on System Theory, pp.406-410, March 1993. 15. P. Kogge and H. Stone, “A parallel algorithem for the efficient solution of a general class of recurrence relation,” IEEE transactions on computers, vol. C-22, no.8, pp.786-793, Aug 1973. Keywords: Power Dissipation, degenerate, complexity, Threshold loss. 1. Jin-Fa Lin, Yin-Tsung Hwang and Ming-Hwa Sheu, “Low Power 10-Transistor Full Adder Design Based on Degenerat Pass Transistor Logic,” IEEE Trans. VLSI, vol. 13, no. 6, pp. 686–695, Jun. 2012. 2. C.-H. Chang, J. Gu, and M. Zhang, “A review of 0.18-um full adder performances for tree structured arithmetic circuits,” IEEE Trans. VLSI, vol. 13, no. 6, pp. 686–695, Jun. 2005. 3. D. Radhakrishnan, “Low-voltage low-power CMOS full adder,” IEE Proc. Circuits Devices Syst., vol. 148, no. 1, pp. 19–24, Feb.2001. 5. H. T. Bui, Y. Wang, and Y. Jiang, “Design and analysis of low-power 10-transistor full adders using XOR–XNOR gates,” IEEE Trans. Circuits Syst. II, Analog Digit. Signal Process. vol.49, no. 1, pp. 25–30, Jan. 2002. 6. J.-F. Lin, Y.-T. Hwang, M.-H. Sheu and C.-C. Ho, “A novel high speed and energy efficient 10-transistor full adder design,” IEEE Trans. Circuits Syst. I, vol. 54, no. 5, pp. 1050–1059, May 2007. 7. Y. Jiang, Al-Sheraidah. A, Y. Wang, Sha. E, and J. G. Chung, “A novel multiplexer-based low-power full adder,” IEEE Trans. Circuits Syst. II, Analog Digit. Signal Process. vol. 51, pp.345–348, July 2004. 8. J. Wang, S. Fang, and W. Feng, “New efficient designs for XOR and XNOR functions on the transistor level,” IEEE J. Solid-State Circuits, vol. 29, pp. 780–786, July 1994. 9. J.-B. Kim, et al., “New circuits for XOR and XNOR circuits,” International Journal of Electronics, vol. 82, pp. 131–143, Feb.1997. 11. P. Buch, A. Narayan, A.R. Newton, A. Sangiovanni-Vincentelli, Logic synthesis for large pass transistor circuits, Proceeding of the IEEE International Conference on Computer-Aided Design (ICCAD), November 1997, pp. 633–670. 12. A. Jaekel, S. Bandyopadhyay, G.A. Jullien, Design of dynamic pass transistor logic using 123 decision diagrams, IEEE Trans. on CAS-I: Fundamental Theory and Applications 45 (11) (1998) 1172–1181. 13. K. Yano, Y. Sasaki, K. Rikino, K. Seki, Top–down pass-transistor logic design, IEEE Journal of Solid-State Circuits 31 (6) (1996) 792–803. 14. P. Kogge and H. Stone, “ A parallel algorithem for the efficient solution of a general class of recurrence relation,” IEEE transactions on computers, vol. C-22, no.8, pp.786-793, Aug 1973. 15. R.Brent and H.Kung, “A regular layout for parallel adders,” IEEE Transaction on Computers, vol. C-31, no.3, pp. 260-264, March 1982. Abstract: In  we have presented a novel design of different Digital Arithmetic and Logic Units using basic Reversible Gates. The current issue presents andemphasises on the use of Ultimate Optimized Design of digital circuits such as Adders, Subtracters, and 1-Bit Comparator. Furthermore, the Optimized Design does not give any ambiguous values in the terms of Quantum Cost associated with the circuit. Keywords: Ancillary Inputs, Quantum Cost, TR Gate. 1. Divyansh Mathur, Arti Saxena, Abneesh Saxena, “Arithmetic and Logic Unit Designing using Reversible Logic Gate”, International Journal of Recent Technology and Engineering, Volume 1, Issue 6, pp. 157-160, January 2013. 2. Himanshu Thapliyal and Nagarajan Ranganathan, “Design of Efficient Reversible Binary SubtractersBased on A New Reversible Gate”, IEEE Computer Society Annual Symposium on VLSI, pp. 229-234, 2009. 3. Himanshu Thapliyal and Nagarajan Ranganathan, “A New Design of the Reversible Subtracter Circuit”, 11thIEEE International Conference on Nanotechnology, pp. 1430-1435, August 2011. 4. A.N. Al-Rabadi, “Reversible Logic Synthesis: FromFundamentals to Quantum Computing”, Springer Verlag, New York, First Edition, 2004. 6. H. Thapliyal and N. Ranganathan, "Reversible LogicBased Concurrently Testable Latches for MolecularQCA", To appear IEEE Trans. on Nanotechnology,2009. 7. H. Thapliyal and N. Ranganathan, "Testable ReversibleLatches for Molecular QCA", Proc. of the 8th Intl. Conf. on Nanotechnology, Arlington, TX, Aug 2008, pp. 699-702. 8. H. Thapliyal and N. Ranganathan, "Conservative QCA Gate (CQCA) for Designing Concurrently Testable Molecular QCA Circuits", Proc. of the 22nd Intl. Conf. on VLSI Design, New Delhi, India, Jan 2009, pp. 511-516. 9. X. Ma, J. Huang, C. Metra, F.Lombardi, “Reversible Gates and Testability of One Dimensional Arrays of Molecular QCA”, Springer Journal of Electronic Testing, Vol. 24, No. 1-3, pp.297-311, Jan 2008. 10. V. V. Shende, A. K. Prasad, I. L. Markov, and J. P. Hayes, “Reversible Logic Circuit Synthesis”, InICCAD, San Jose, California, USA, pp. 125-132, 2002. 11. A C H Bennett, (1973) “Logical Reversibility of Computation”, IBM Journal of Research and Development, vol. 17, no. 6, pp. 525-532. 12. T. Toffoli, “Reversible Computing”, Tech Memo MIT/LCS/TM-151, MIT Lab for Comp. Sci., 1980. 13. E. Fredkin, T. Toffoli, “Conservative Logic”, Intl. Journal of Theoretical Physics, pp. 219-253,1982. 14. A. Peres, “Reversible Logic and Quantum Computers”, Phys. Rev., pp. 3266-3276, 1985. 15. R. Feynman, “Quantum Mechanical Computers”, Optic News, Vol. 11, pp. 11-20, 1985. 16. Md. Saiful Islam, Md. Rafiqul Islam, Muhammad Rezaul Karim and Abdullah Al Mahmud,“Synthesis of Adder Circuits using Reversible Logic”, In Proc. of 3rd IEEE InternationalConference for Upcoming Engineers, ICUE 2004, Ryerson University, Toronto, Canada, May 13-14,2004. 17. Md. Saiful Islam, Md. Rafiqul Islam, Muhammad Rezaul Karim, Abdullah Al Mahmud and HafizMd. Hasan Babu, “Minimization of Adder Circuits and Variable Block Carry Skip Logic usingReversible Gates”, In Proc. of 7th International Conference on Computer and InformationTechnology, ICCIT 2004, Brac University, Dhaka, Bangladesh, 26-28 December, 2004, pp. 378-383. 18. Md. Saiful Islam, Md. Rafiqul Islam, Muhammad Rezaul Karim, Abdullah Al Mahmud and HafizMd. Hasan Babu, “Variable Block Carry Skip Logic using Reversible Gates”, In Proc. of 10thInternational Symposium on Integrated Circuits, Devices & Systems, ISIC 2004, NanyangTechnological University, Suntec, Singapore, 8-10 September, 2004, pp 9-12. 19. Md. Saiful Islam and Md. Rafiqul Islam, "Minimization of Reversible Adder Circuits", AsianJournal of Information Technology, Vol. 4, No. 12, pp. 1146-1151, 2005. Abstract: Electrical energy storage has a significant role to play in improving the performance of future electric traction systems. This paper proposes a new power electronics topology that integrates the energy storage power electronics with those of the inverter drive system. This topology reduces weight and component count compared with previous topologies but still allows the use of standard machines. Practical results from a laboratory test system are shown, and indicative energy savings for a full-sized system are presented. A study on a City Class Tram on the public transportation system in Blackpool, U.K., shows that clear energy savings may be made by employing ultra-capacitor energy storage with the proposed topology. Keywords: Energy conversion, energy storage, power control, traction power supplies. 1. “Central London railway,” Engineering, vol. 65, pp. 214–216, 1898. 2. L. Romo, D. Turner, and L. S. B. Ng, “Cutting traction power costs with wayside energy storage systems in rail transit systems,” in Proc. ASME/IEEE Joint Rail Conf., 2005, pp. 187–192. 3. A. Jaafar, C. R. Akli, B. Sareni, X. Roboam, and A. Jeunesse, “Sizing and energy management of a hybrid locomotive based on flywheel and accumulators,” IEEE Trans. Veh. Technol., vol. 58, no. 8, pp. 3947–3958,Oct. 2009. 4. Y.-J. Lee, A. Khaligh, and A. Emadi, “Advanced integrated bidirectional AC/DC and DC/DC converter for plug-in hybrid electric vehicles,” IEEE Trans. Veh. Technol., vol. 58, no. 8, pp. 3970–3980, Oct. 2009. 5. M. Chymera, A. C. Renfrew, andM. Barnes, “Measuring the performance of a centenary class tram on the Blackpool tramway,” in Proc. Power Electron., Mach. Drives Conf., 2008, pp. 645–649. 6. Maxwell Technol., HTM Power Series 390v Datasheet. 7. “The Oerlikon electrogyro—Its development and application for omnibus service,” Automobile Eng., vol. 45, pp. 559–566, Dec. 1955. 8. S. Lu, K. A. Corzine, andM. Ferdowsi, “A unique ultracapacitor direct integration scheme in multilevel motor drives for large vehicle propulsion,” IEEE Trans. Veh. Technol., vol. 56, no. 4, pp. 1506–1515, Jul. 2007. 9. M. Yano, T. Mizumura, and A. Kuramochi, “A study of energy storage systems for railway rolling stocks using transformers connected in series to motor windings,” in Proc. IEEE Power Convers. Conf., 2007, pp. 342–347. 12. M. Steiner and J. Scholten, “Energy storage on board of railway vehicles,” in Proc. IEEE 11th Eur. Conf. Power Electron. Appl., 2005. [CD-ROM]. 13. Railway Technology, Nice Tramway, France, 2009. 14. M. Steiner, M. Klohr, and S. Pagiela, “Energy storage system with Ultra- Caps on board of railway vehicles,” in Proc. Eur. Conf. Power Electron.Appl., 2007, pp. 1–10. 15. M. Steiner and J. Scholten, “Energy storage on board of DC fed railway vehicles,” in Proc. IEEE 35th Annu. Power Electron. Spec. Conf., 2004, pp. 666–671. 16. D. M. Fröhlich, M. Klohr, and P. S. Pagiela, “Energy storage system with UltraCaps on board of railway vehicles,” presented at the 8th World Congr. Railway Res., Amberg, Germany, 2008. 17. M. Meinert and K. Rechenberg, “Providing travelers with a seamless journey in public transport,” presented at the 1st UITP MENA Congr. Showcase, Dubai, United Arab Emirates, 2007. 18. Y. Taguchi, M. Ogasa, H. Hata, H. Iijima, S. Ohtsuyama, and T. Funaki, “Simulation results of novel energy storage equipment series-connected to the traction inverter,” in Proc. Eur. Conf. Power Electron. Appl., 2007,pp. 1–9. 19. M. Yano, T. Mizumura, and A. Kuramochi, “A study of energy storage systems for railway rolling stocks using transformers connected in series to motor windings,” in Proc. IEEE Power Convers. Conf., Nagoya, Japan, 2007, pp. 342–347. 20. M. Yano, T. Mizumura, and A. Kuramochi, “A new energy storage systems for railway rolling stock using transformers connected in series to motor windings,” in Proc. IEEE Int. Elect. Mach. Drives Conf., 2007, pp. 112–117. 21. K. A. Corzine, S. D. Sudhoff, and C. A.Whitcomb, “Performance characteristics of a cascaded two-level converter,” IEEE Trans. Energy Convers., vol. 14, no. 3, pp. 433–439, Sep. 1999. 22. V. Oleschuk, R. Bojoi, G. Griva, and F. Profumo, “Dual inverter-fed traction drive with DC sources power balancing based on synchronized PWM,” in Proc. IEEE Int. Elect. Mach. Drives Conf., 2007, pp. 260–265. Abstract: The objective of this paper is to develop a DC power supply system with photovoltaic (PV) grid-connection and active power filtering. The proposed power supply system consists of an input stage and an output stage. In the input stage, a dc/dc converter incorporated with the perturbation-and-observation method can draw the maximum power from the PV source, which can be delivered to the output stage. On the other hand, grid connection or active power filtering, depending on the power of photovoltaic; will be implemented by a dc/ac inverter in the output stage. Two microcontrollers are adopted in the proposed system, of which one is to implement the MPPT algorithm, the other is used to determine the operation modes, which can be grid connection mode, direct supply mode or active power filtering mode. Finally, the experimental results are measured to verify the proposed algorithms and feasibility of the system. Keywords: About four key words or phrases in alphabetical order, separated by commas. 1. A. Lohner, T. Meyer and A. Nagel,“A New Panel-Integratable Inverter Concept for Grid-ConnectedPhotovoltaic System,”IEEE InternationalSymposium on Industrial Electronics, Vol. 2, June1996, pp. 827-831. 2. U. Herrmann, H. G. Langer, H. van der Broeck,“Low Cost DC to AC Converter forPhotovoltaic Power Conversion in ResidentialApplications,”Proceedings of the IEEE PESC, June 1993, pp. 588-594. 3. J. H. R. Enslin, M. S. Wolf, D. B. Snyman and W.Sweiges,“Integrated Photovoltaic Maximum Power Point Tracking Converter,”IEEE Trans. OnIndustrial Electronics, Vol. 44, No. 6, 1997, pp769-773. 4. S. J. Chiang, K. T. Chang and C. Y.Yen,“Residential Photovoltaic Energy StorageSystem,” IEEE Trans. on Industrial Electronics,Vol. 45, No. 3, 1998, pp. 385-394. 5. S. Sopitpan, P. Changmoang and S. Panyakeow,“PVSystems With/without Grid Back-up for HousingApplications,”Proceedings of the IEEE PhotovoltaicSpecialists Conference, 2000, pp. 1687-1690. 7. M. Rukonuzzaman and M. Nakaoka,“Single-phase shunt active power filter with harmonic detection,”Electric Power Applications, Vol. 149, Sept. 2002,pp. 343-350. Abstract: Most of industries around us make use of iron machines & tools for manufacturing their products. On the other hand corrosion is a natural process that deteriorates the integrity of iron surface. Therefore, rusting of iron takes place. To avoid unwanted accidents in industries, it is necessary to detect rusting in earlier stage, so that it can be prevented. Digital Image Processing for the detection of the rusting provides fast, accurate and objectives results. There have been many techniques for detection of rust. In this paper we are describing some existing techniques for detection of rusting. We have analyzed these techniques and made comparison based o their approaches, strengths and limitations. Keywords: Detection of Rusting, Digital Image Processing, Rust Detection Technique. 1. Neural Networks, A Comprehensive Foundation, Second Edition 2009 by Simon Haykin. 2. Sindhu Ghanta, Tanja Karp and Sangwook Lee, “Wavelet Domain Detection of Rust in Steel Bridge Images”, IEEE 2011. 3. Michiko Yamana, Hiroshi Murata, Takashi Onada, Tohru Ohashi and Seiji Kato, “Development of system for Crossarm Reuse Judgment on the Basis of Classification of Rust Images Using Support-Vector-Machine”, IEEE 2005. 4. Mariana P. Bento, Fatima N. S. De Medeiros, Ialis C. De Paula Jr. and Geraldo L.B. Ramalho, “Image Processing Techniques applied for Corrosion Damage Analysis”. 5. B.B. Zaidan, A.A. Zaidan, Hamdan.O.Alanazi, Rami Alnaqueib, “Towards Corrosion Detection System”, Vol. 7, Issue 3, No. 1, May 2010. Abstract: Association rule mining is important research topic today. In this paper I have presented the overall survey of multidimensional association rule as well as the survey of Hybrid dimensional association rule mining .This paper illustrate the different approaches for mining multidimensional as well as hybrid dimensional association rule. This paper also elaborates the conditional hybrid dimensional association rule and concludes which is the best Approach for mining the multidimensional and conditional hybrid dimensional Association rule. Keywords: Boolean Relational Calculus, multi-dimensional Association Rule, multi-dimensional Transactional Database, RSHAR. 1. Shenoy, P.”Turbo-charging Vertical Mining of Large Databases”. In ACM SIGMOD International Conference on Management of Data. Dallas. 2000. 3. H.Toivonen, “Sampling large databases for association rules”.In: Proceeding of the 1996 international conference on Very Large Data Bases (VLDB’96), Bombay, India, pp 134–145, 1996. 4. Srikant R, Agrawal R “Mining quantitative association rules in large relational table”, in the proceedings of ACM SIGMOD international conference on management of data, p.1-12 1996. 6. Yan Xin, Shi-Guang Ju , “Mining Conditional Hybrid-Dimension Association Rules On The Basis Of Multi-Dimensional Transaction Database”, Proceedings of the Second International Conference on Machine Learning and Cybernetics, Xi’an, 2-5 November 2003. 10. Jiawei Han, Micheline Kamber, “Data Mining Concepts and Techniques”. Higher Education Press 2001. Abstract: In a solar system, like any other equipment installation, the life time of the system is dependent is shortened if the system is not well maintained. Considering the cost of such a large system, it is more than essential for the system to be maintained. In addition, like any other electrical equipment or system, troubles do occur and trouble chapter seeks to outline the major maintenance activities and also create a fault finding tree that makes it easier to identify faults and solve them in the shortest possible time. Keywords: Solar system, fault finding tree,maintenance. 1. V. Lughi , A. Massi Pavan , S. Quaia , and G. Sulligoi, “Economical Analysis and Innovative Solutions for Grid Connected PV Plants”, International Symposium on Power Electronics, Electrical Drives, Automation and Motion, Page(s): 211 – 216,2008. 2. inhui Xue , Zhongdong Yin , Qipeng Song, and Renzhong Shan, “Analyze and Research of the inverter for Grid connecting photovoltaic system”, Third IEEE International Conference on Electric Utility Deregulation and Restructuring Power Technologies, Page(s): 2530 - 2535, 2008. 3. [http:BP_7180_V2] “specification of PV module” available at www.bp.com/liveassets/bp_internet/solar/bp.../b/BP_7180_V2.pdf. 4. [http:Energy Scenario] “Solar PV Industry 2011 : Contemporary scenario and emerging trends” available at www.epia.org/fileadmin/EPIA_docs/publications/epia/EPIA-market-report-2011.pdf. 5. G.D.Rai,” Non Conventional Energy Sources”, Khanna Publishers,2001. Abstract: With the aim of rationalization, resources optimization and service quality improvement, Moroccan hospitals are improving their management strategy, especially in the operating rooms. Budget cuts and the increasing number of patients of the operating rooms services are the major constraints of reasonable hospital management. Those operating rooms responsible are in charge of searching for a way to respond optimally to these needs. Therefore, it is undeniable that the optimization of the allocated expenses and resources of these rooms has become a necessity. In the present work we model operating rooms using the object approach with UML. A study of a real case of the National Institute of Oncology (NIO) is presented to elucidate the functional, static and dynamic aspects. Subsequently, we present the results of performance of operating rooms modeled using the simulation software ARENA, taking in account various configurations of evolution of the structure of the studied system. Keywords: Operating room, performance evaluation, modeling, optimization.